The Amoy-dialect film industry emerged in the 1950s, producing cheap, b-grade films in Hong Kong for direct export to the theatres of Manila Chinatown, southern Taiwan and Singapore. Films made in Amoy dialect - a dialect of Chinese - reflected a particular period in the history of the Chinese diaspora, and have been little studied due to their ambiguous place within the wider realm of Chinese and East Asian film history. This book represents the first full length, critical study of the origin, significant rise and rapid decline of the Amoy-dialect film industry. Rather than examining the industry for its own sake, however, this book focuses on its broader cultural, political and economic significance in the region. It questions many of the assumptions currently made about the ‘recentness’ of transnationalism in Chinese cultural production, particularly when addressing Chinese cinema in the Cold War years, as well as the prominence given to ‘the nation’ and ‘transnationalism’ in studies of Chinese cinemas and of the Chinese Diaspora. 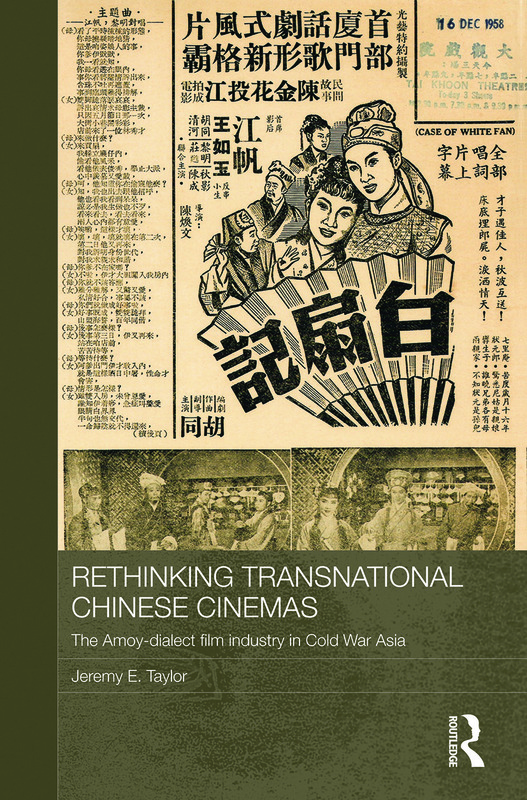 By examining a cinema that did not fit many of the scholarly models of ‘transnationalism’, that was not grounded in any particular national tradition of filmmaking and that was largely unconcerned with ‘nation-building’ in post-war Southeast Asia, this book challenges the ways in which the history of Chinese cinemas has been studied in the recent past. Jeremy E. Taylor is a lecturer in Chinese Studies at the School of East Asian Studies, University of Sheffield, UK.